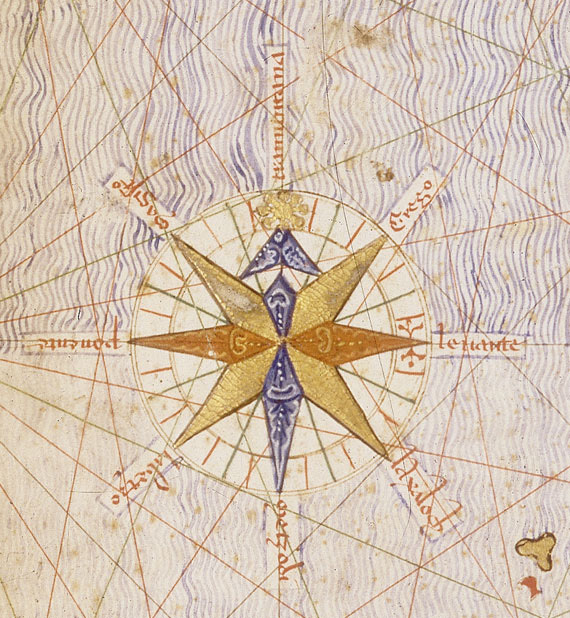 Wind rose from the Catalan Atlas,1375, from the Majorcan cartographic school, thought to be drawn by Cresques Abraham. This post focuses on a student new to my class, new to Malaysia and relatively new to the English language. I am impressed by Anqi’s desire to become more comfortable with morphology and the various resources to help her make sense of the structure of English words. Unsure of so many of the linguistic terms that she had heard bandied around her in class: morpheme, base element, free base element, bound base element, affixes, prefix, suffix, Anqi felt if she chose a word each day she would increase her understanding of word structure. Morphology is her wind-rose; it guides her to meaning, to making sense of words. It helps her to expand her vocabulary through discovering the relatives of a particular word- words that share a either a common base or a related base that is derived from the same root. Here are snippets of our ten- twenty minute conversations over the course of several weeks. We began with the word Anqi chose, translation. There have been other mornings and lunchtimes with translation. This meant an occasional diversion, well inevitable rather than occasional, to other words and bases such as the bound base element <port>. Anqi had discovered transport and used it as evidence to support her hypothesis of <trans-> as a prefix. We’ve explored another word of her choice <dictionary> and debated long and hard over the suffixes: was it <dict+ion+ar+y> or <dict+ion+ary> and while it’s tempting to reveal all, we’ll leave you waiting breathless with excitement for the next post! Below Anqi’s record of her thinking as she discovered that there was more that needed to be translated from the Etymology Online Dictionary entry. We initially thought the root here was Latin latus:meaning carry or bear but we hadn’t read the entry carefully! I’ll let the video clips and the notes explain the full story! We also wondered whether <tran-> was a variant form of <trans->. We discovered this when ‘eagle eyes’ Anqi spotted the word <tranquil> and <transcript>. This resulted in a small investigation into the root that had led to the bound base element <quil> in tranquility. We hypothesized that before <qu> and perhaps also before a base with an initial <s>, the variant form <tran-> occurs. We need to gather more evidence to support this observation or discover evidence to the contrary. Which of these words are related? Which words share the same base element? Which words have a different base element but share the same root? Which words are not related? all words have a base element carrying the main meaning. bases can be bound and free. bases have a history, a root from a another time and place. the root influences the orthography. vowel suffixes can cause a change to a base or another suffix. 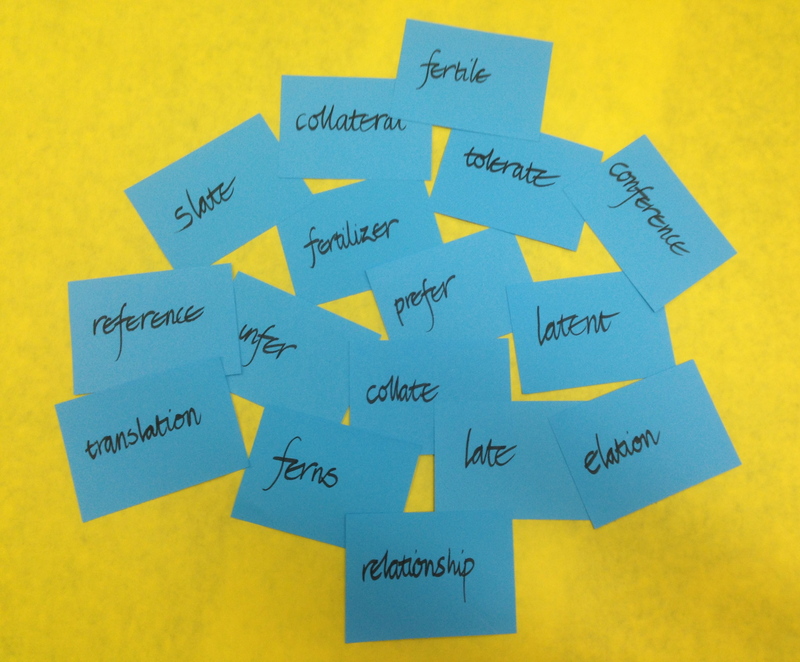 morphology involves discovering words that share the same base element. some base elements may be homographs and despite a superficial resemblance are not related and therefore unconnected in meaning. words from the same root share an underlying meaning. Of course after staring long and hard at this and other wind roses, I am now caught in whirl of winds, muttering their names, wondering about their etymology. The Zonda – a dry dust carrying wind blowing on the eastern face of the Andes in Argentina; the forceful and appropriately named Wreckhouse wind of Labrador and Newfoundland capable of blowing railway cars off the track, the Tramontane blowing from beyond the Alps -strong dry and cold; the cold northerly Mistral wind blowing on France’s Mediterranean coast whose name is influenced by Provencal and ultimately Latin magister: master; the Sirocco– hot wind from the Middle East ultimately derived from an Arabic root sharq east from sharqa to rise. I love the 1911 denotation from the OED:‘An oppressively hot and blighting wind, blowing from the north coast of Africa over the Mediterranean and affecting parts of Southern Europe (where it is also moist and depressing).‘ Then there’s the Simoon, ‘a hot, dry, suffocating sand-wind which sweeps across the African and Asiatic deserts at intervals during the spring and summer’ (O.E.D.) from an Arabic root سموم‎ samūm, derived from from root سم s-m-m, “to poison”! Anqi is not blown off course. Morphology and etymology are her landmarks for making sense and meaning, for finding her bearings in the sea of English. 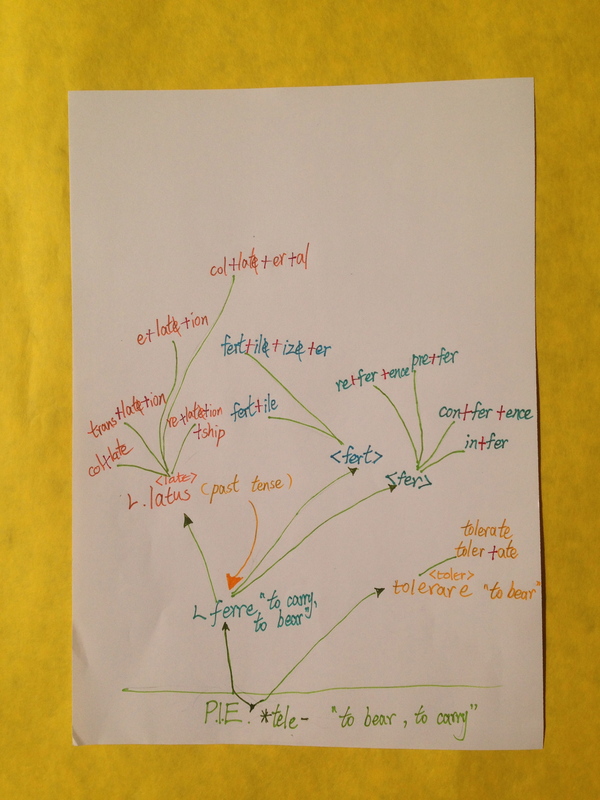 Below her final diagram that translates her understanding of the word translation and its relatives today, this Friday lunchtime. You’ll notice her new understanding of tolerate. Anqi’s diagram showing both morphological and etymological relationships.